Kalmon Stokes placed third nationally and took home All-American honors in both the 400-meter dash and 400-meter hurdles at this year’s NCAA Division III Track and Field Championships. But even though his times for both events set AU and NACC records, he was disappointed. The 6-foot-4-inch Stokes — he was a four-year standout on the AU basketball team, too — got his start in hurdles at Oswego East High School, where he quickly absorbed everything his coaches could teach him about the event. 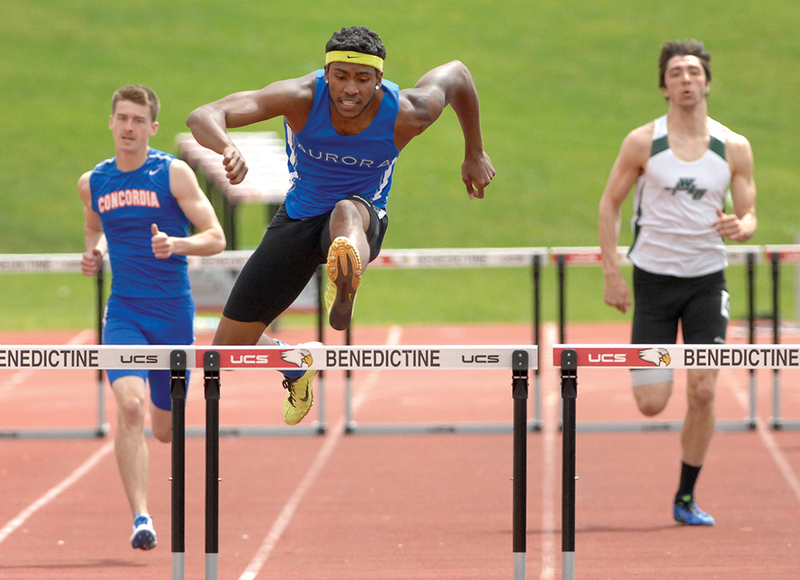 At AU, Stokes wasted no time in establishing himself as a force to be reckoned with, winning first place in the 400 hurdles in NACC competition four years running (and claiming All-American honors in the event in 2015). He was also a member of the men’s 4×400 relay team that won NACC firsts in 2015 and 2016. Stokes graduated in May 2016 with a bachelor’s degree in criminal justice and a minor in business. He was recently named the 2015-2016 Spartan Man of the Year, the AU athletic department’s highest honor. With a year of eligibility remaining, Stokes hopes to continue his studies in graduate school — and continue to push for perfection on the track.